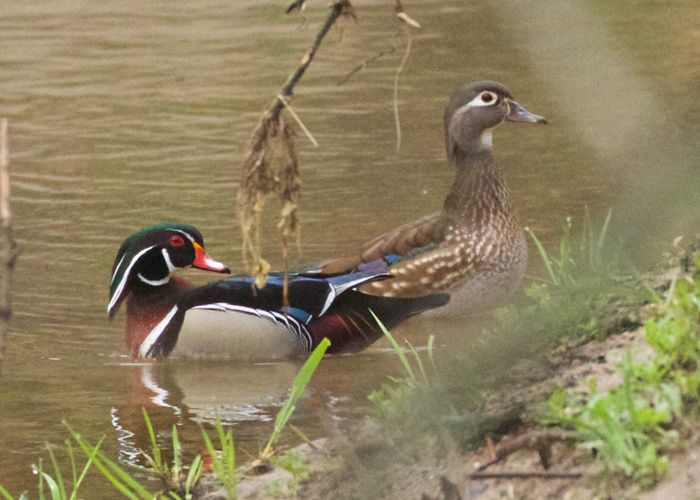 Early this morning, with a few raindrops hitting me, I came upon a certain pair of wood ducks. I find these two now and then as I walk along Crow Creek. This part of the creek is their home. They must have a nest in a hollow tree trunk nearby. They slide around a bend in the stream, mostly staying out of sight. If I walk quietly they usually don't fly off in alarm, and they did not this morning. We share this bit of the wild. I am sure the Wood Ducks don't care, but for me, well, it's a good feeling.